A very unique donut-shape, flat nectarine. An amazing white flesh fruit that has very sweet, juicy, and tasty flesh. 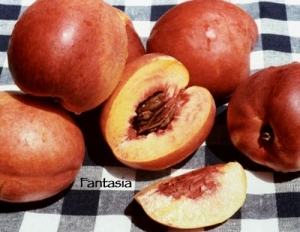 The Sauzee king nectarine has smooth skin that is reddish in color over bits of yellow. Harvest fruit in the Summer month of June. The Sauzee King nectarine trees can be kept small for the home orchard. Plant in the full sun and well draining soil. Water once to twice a week in the Spring to Summer depending on the weather. 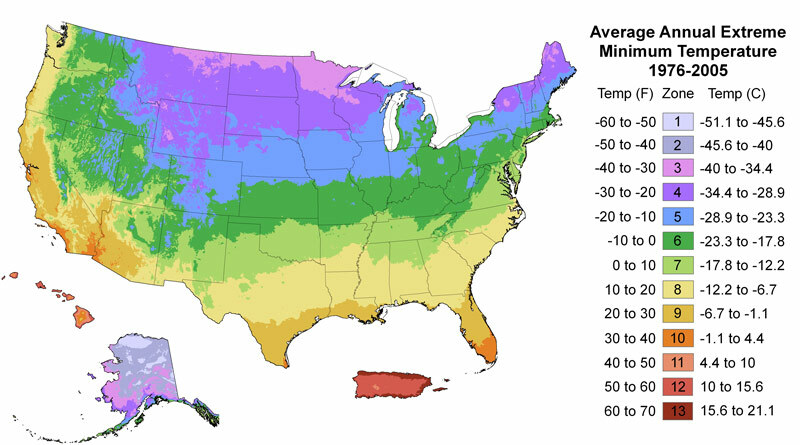 Notice how the temperature and humidity affect the soils moisture evaporation and trees transpiration. Reduce frequency in the Fall as the weather cools down and the tree loses their leaves. Reduce the frequency gradually until you cut the water off for their winter dormancy. Do not provide supplemental water while the tree is dormant. Fertilize with organic fruit tree fertilizers. Make sure to till the top layer of the soil. In the Winter, apply steer manure along with fertilizers with higher phosphorus and potassium like humus and bone meal. Use more nitrogen-based organic fertilizers like blood meal in the Spring and Summer growing season. There is not much growth and production in the Fall, so do not fertilize to prevent thin and lanky growth. Trim trees in the winter while dormant. Top the tips to reduce the height and encourage lower branches to grow. Remove any growth below the lowest main branches and the graft. Cut off dry twigs and growth crossing branches towards the center of the tree. Perform thinning in the Summer to direct the plant’s energy. Remove excess fruits to help remaining fruit to develop larger. Use organic horticultural dormant sprays like Neem oil in the winter to prevent soft bodies insects in Spring.